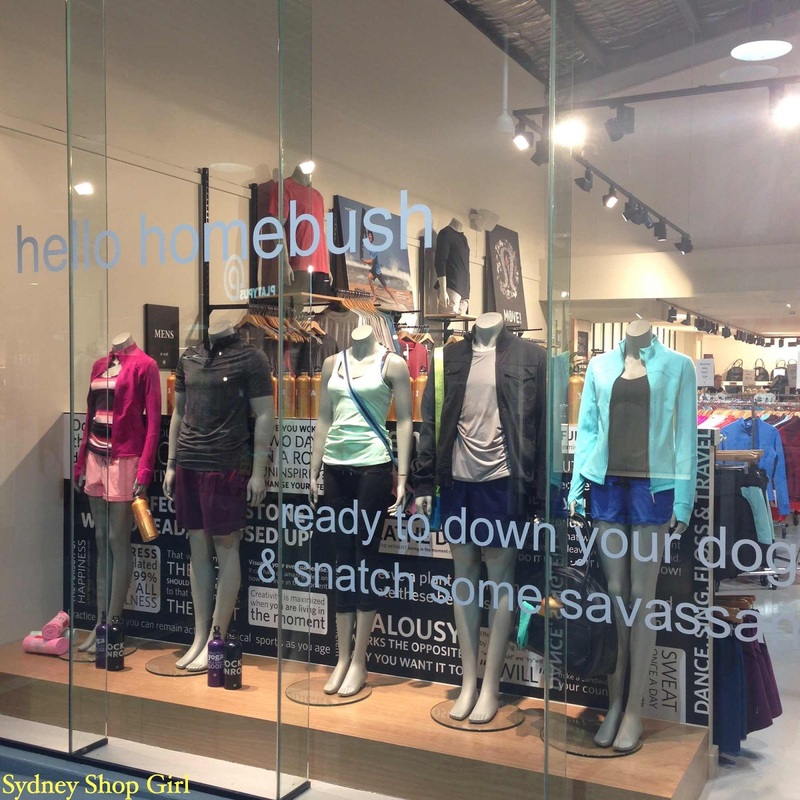 Sydney Shop Girl: WAGs, Snags and the DFO in Homebush. One way or another, the FIFA World Cup is going to get you. In much the same way as that 1 Direction song I shamelessly paraphrased. Being up at all hours watching games. Keeping up to date with what the world media thinks of the various teams, their players and managers. Laughing at the memes inspired by the more infamous moments of the World Cup that find their way onto your social media feeds. Every four years, for a few frenzied weeks, if you are of this earth, your life will be touched by the world's game. Always one to jump on a global bandwagon, I've gotten into the spirit of things with my latest Kindle download. Yes, this is an actual book. I first found out about 'I Am the Secret WAG' when I read an excerpt on the Mail Online a few weeks ago and knew from the first paragraph that it was going to be my kind of trashtastic read. If you love the 'Babylon' books by Imogen Edwards Jones, the Secret WAG's memoir could be just the book for you. The Secret WAG is a bit superior, she's a bit smug but she's also got a very dry sense of humour. Thursday evenings are not just late night shopping night anymore, my friends, because season two of 'The Time of Our Lives' starts on the ABC tonight. The issues faced by the main characters in their crucial relationships are also the ones I'm currently facing in this time of my life. While season one was a slow burner for me, I've read that season two is shorter and the producers have had to be more selective in whose storylines they've been able to develop in the air time that they have. Adult viewers aren't the only ones to benefit from some new programming on the ABC. How brilliant is 11am - 12 pm Quite Time. Daily. Which means Saturday and Sunday as well. With Upsy Daisy as the face of Quiet Time, I'm 110% convinced that Toddler SSG will get on board this new ABC initiative. One day we're trapped indoors and battening down the hatches and the next? 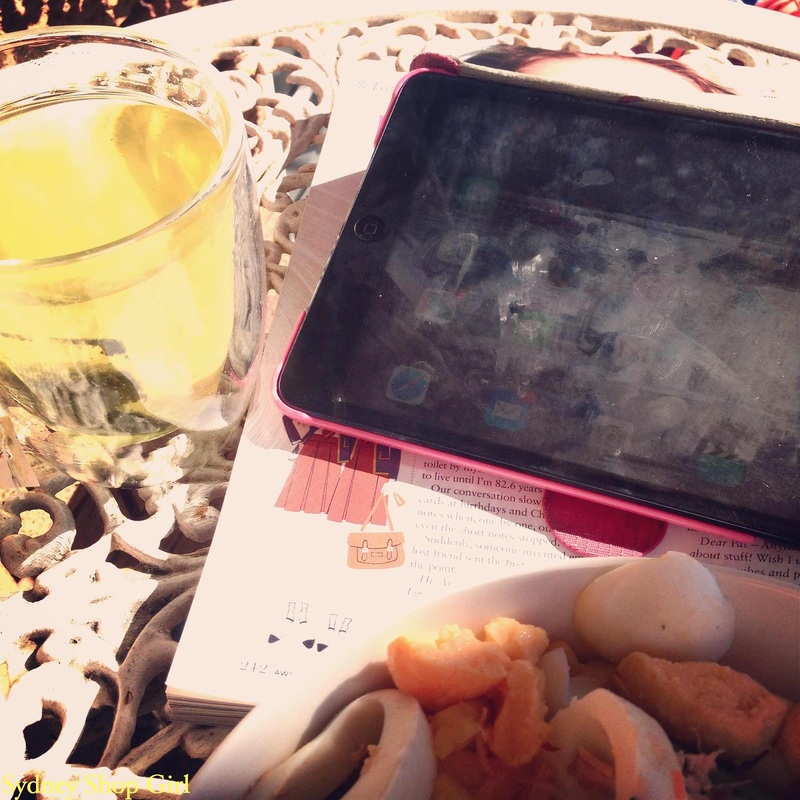 Why, we're sitting outside for lunch with the sun on our faces and highlighting just how smudged our iPad screens are. 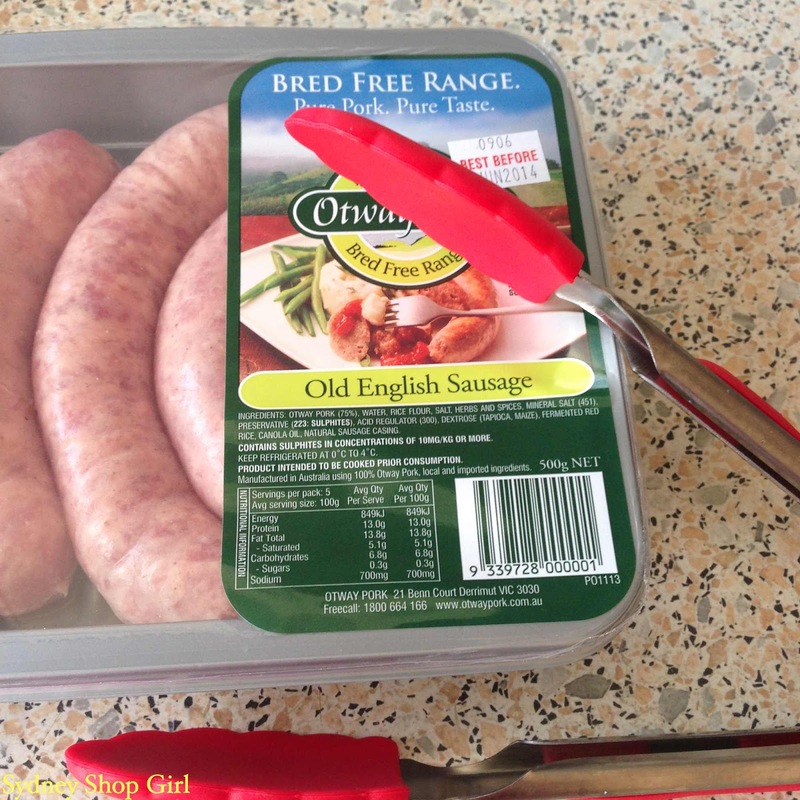 Fancy pork sausages ready to be fried using my new silicon and stainless steel kitchen tongs from Aldi ($3.99). 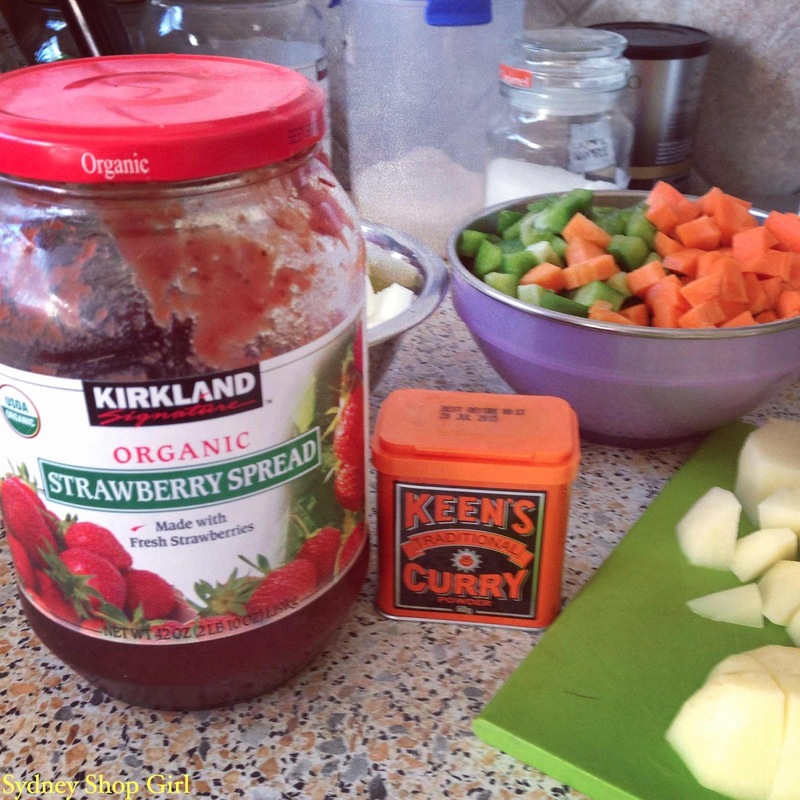 Today's batch cooking project was Curried Sausages using this Kidspot recipe. You might remember me blogging about another recipe a few months back which turned out nicely but this recipe is even better. 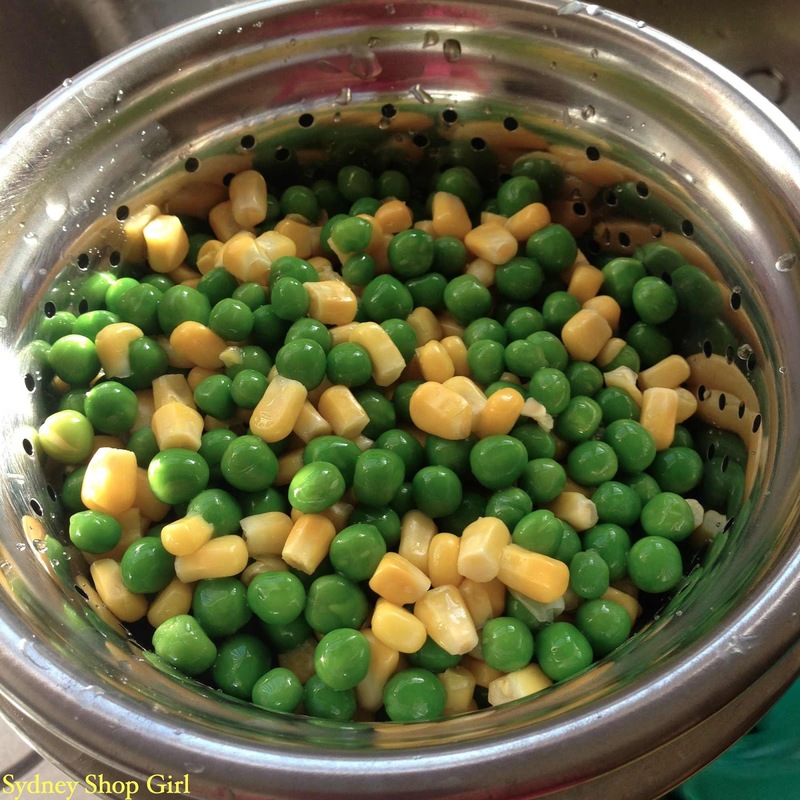 It's less complicated and most of its ingredients are things you'd already have in the kitchen. I used some fancy pork sausages today and instead of plain water, I used 2 cups of beef stock. I was quite liberal with the vegetables which worked well because those fancy sausages of mine only came in a packet of five when the recipe called for six. Downsizing is the way of modern food manufacture, I'm afraid. This is no a misprint. These curried sausages require both curry powder and a tablespoon of jam (any kind so long as it's not marmalade). A teaspoon of curry powder as the recipe states would be perfect for a child friendly version, I used a whole tablespoon which was just right for me. 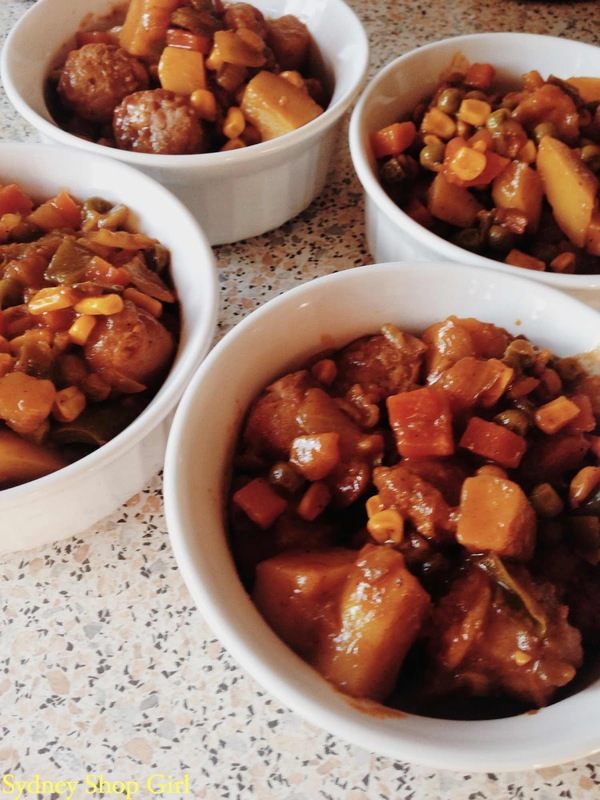 Portions of the sausage curry ready for freezing. You have no idea how attached I am to my microwave on work days. Freezer bingo is a little game I play that involves randomly defrosting a portion of something in the fridge for dinner the next day. It is often a surprise because the labels I stick onto my containers either fall off somewhere in the freezer (not my fault) or else are illegible (my fault). 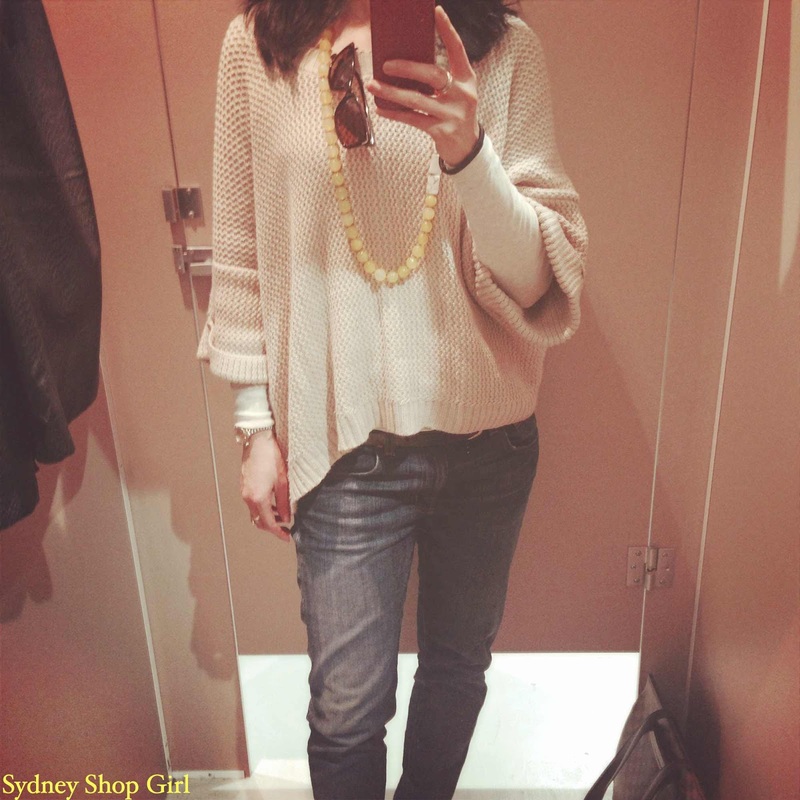 Sweater and belt - Witchery, top - Cotton On, necklace - Red Phoenix Emporium, jeans - J Brand. Was also wearing red Sambag flats. Thursdays are meant to be my stay at home mum day but cabin fever happens to the best of us. Which is how I found myself in this changeroom at the Jacqui E outlet at DFO Homebush. Seven years I've lived in Sydney and today was the first time I'd even set foot in it. The centre has just been refurbished and there is an arcade of spendy factory outlets which the Big Names like to call Company Stores. The ground floor is mostly furniture, sporting and electrical whilst the second floor is where all the fashion retailers are. There's also a lovely food court but no supermarkets like Birkenhead Point. Parking at both is perilous and designed to grey your temples each and every time you attempt it. 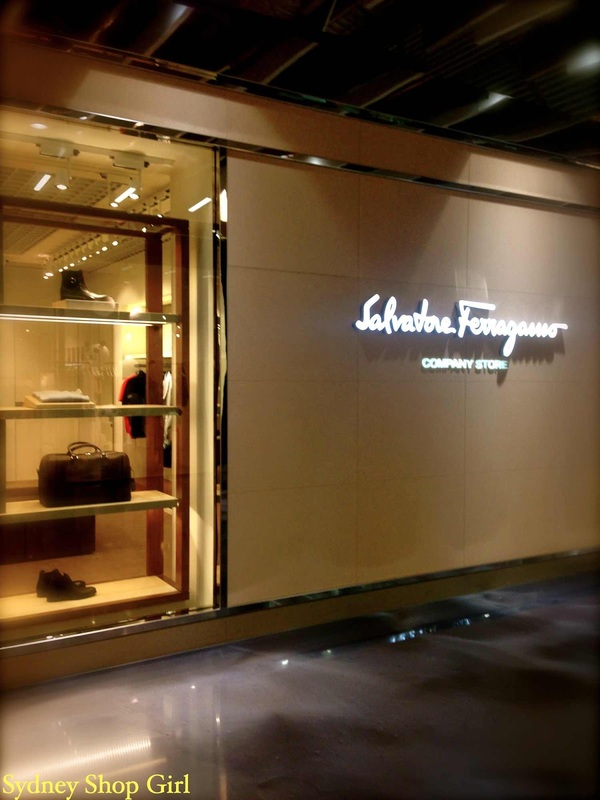 To wit, a window of the Salvatore Ferragamo store. Lulu Lemon invited Homebushians to get down with the dog and then to relax into savasna. Hope you've had a lovely day and a chance to have seen the changing colours of the season. Ooh thanks for Time of Our Lives reminder, loved season 1. It doesn't hurt that Justine Clark is pretty big in our household. Does Toddler SSG like to listen to music? I quite enjoy her songs in the car! Justine Clarke is so brilliant with children's music! I have a recording or two of hers on my iTunes. I am planning some time with i view tonight! Ps Love reading your blog. Thank you for your lovely message and local recs. Will definitely check them out. Really appreciate your kind thoughts. 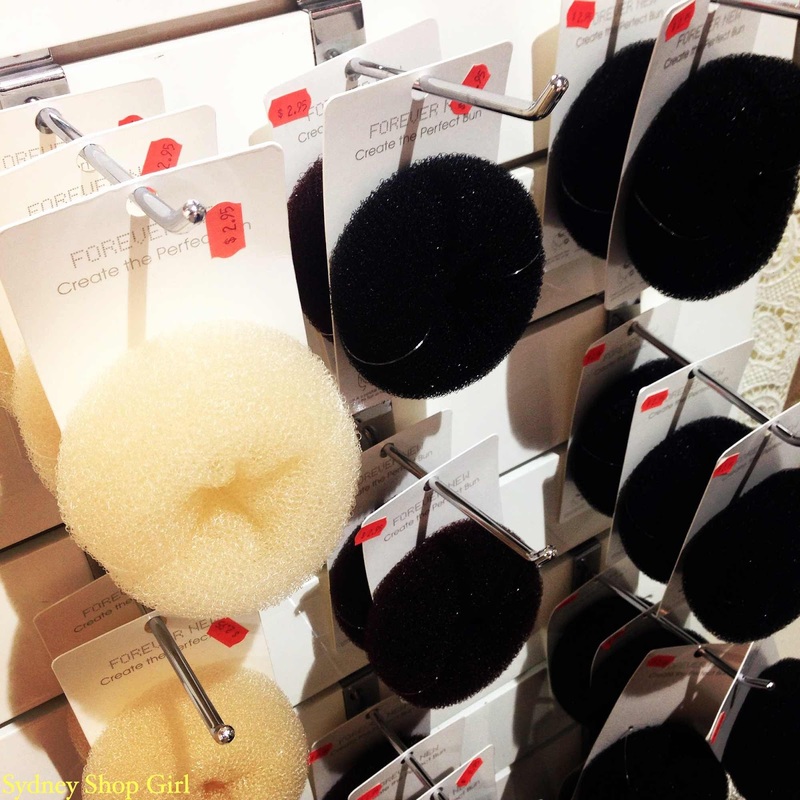 I will have to check out that DFO next time I'm in Sydney - although you didn't buy much I'd love a browse in those stores! It turned out to be a very practical outfit too. The DFO is lovely to look around. Something for everyone. Frozen delights as they are called in this house are the bomb. DFO parking is 100 times better than what it used to be. Outlet shopping trips should definitely be spread out. With you on #toddlerbrain That is how I remember the previous season of Offspring.